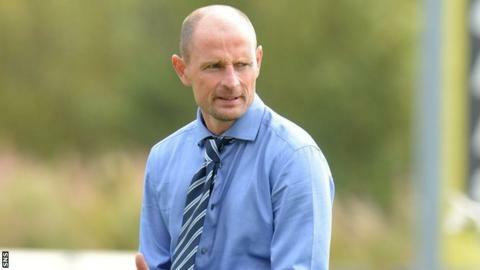 Kilmarnock manager Allan Johnston admitted his side were second-best after losing 2-0 away to Inverness. Two second-half goals from Aaron Doran and Greg Tansey sunk the Ayrshire side and Johnston felt it was down to poor passing on their part. "I don't think we deserved much from that game," he said. "There wasn't much in the game. "We certainly know we can play a lot better than that. Too many people under-performed." The loss was only Kilmarnock's second of the season, dropping the Rugby Park side to fifth place in the Premiership table on seven points. Johnston said it was a dip in the form they had displayed earlier this month when they travelled north to win 2-1 against Ross County, but insisted the travel issue was not an excuse for a poor performance. "Right from the very start, we never passed the ball anywhere like we have been doing in recent weeks and for me we weren't enough of a threat going forward," said Johnston. "The boys looked sluggish - the travelling up wouldn't have helped, but against Ross County we played well and we travelled up on the day. "You can't make excuses like that, we just haven't passed the ball as well we've been doing. "Inverness looked sharp and we've got to make sure we get back to the standards we've shown previously."